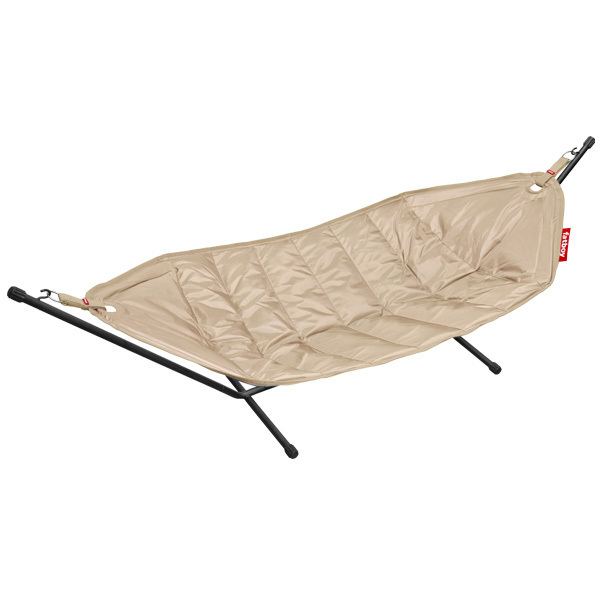 Fatboy’s Headdemock is perfect for lounging on lazy summer days. 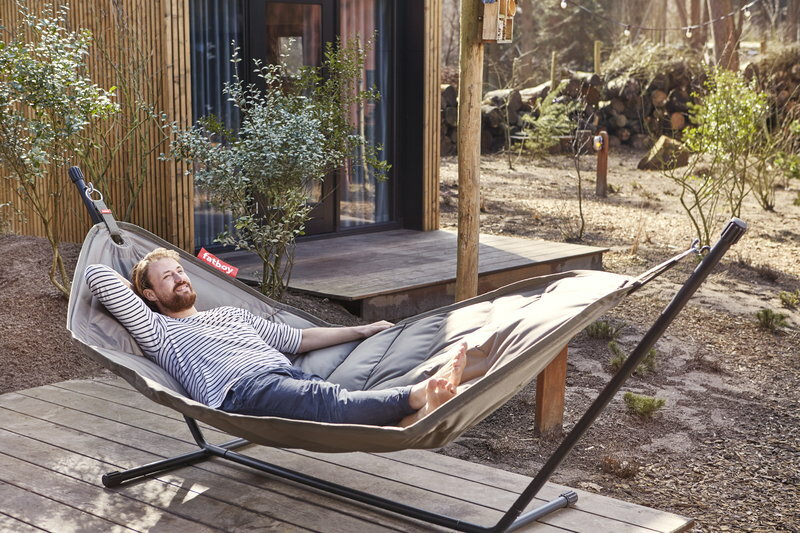 The modern hammock doesn’t need trees since it comes with a sturdy frame – feel free to place it on your favourite spot whether it is a terrace, a balcony, a garden or a beach. 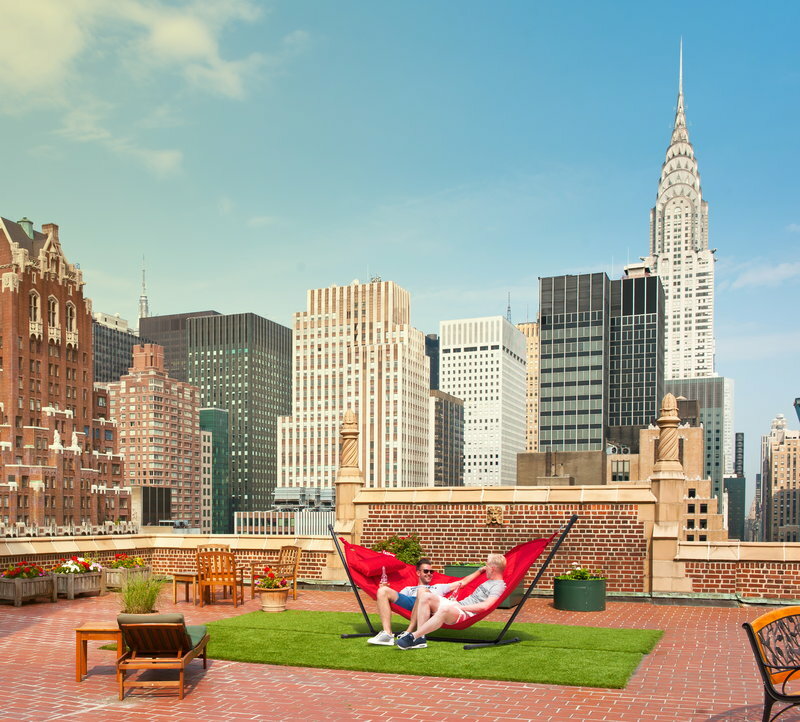 Headdemock is made of durable, water, dirt and UV resistant fabric that makes it well suited for outdoor use. What’s more, the hammock is available in an array of beautiful colours and it’s large enough to enjoy with a friend. 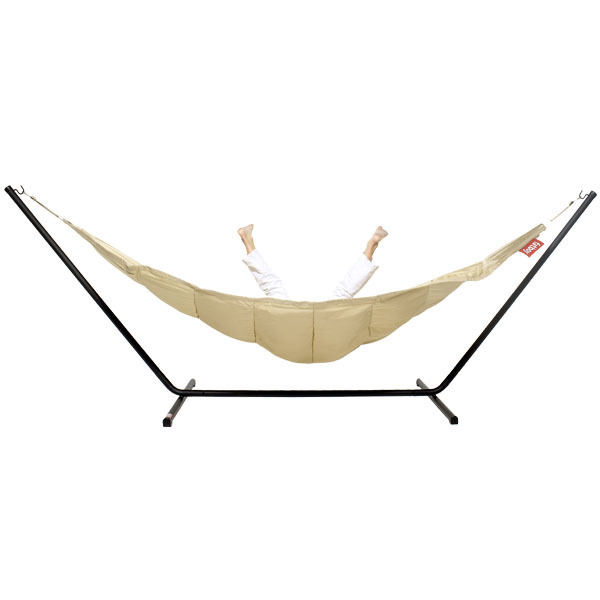 Hammock & frame: 330 cm. Frame: 330 cm. Hammock (flat, excl. straps): 275 cm. Hammock & frame: 127 cm. Frame: 100 cm. Hammock (flat, excl. straps): 138 cm. Maximum weight 150 kg. The frame and hammock come in practical carry bags.